World Read Aloud Day is Celebrated in Kenya! The enthusiasm to read is clear on these girls' faces. They agree that illiteracy is inability. They join the world in celebrating WRAD! Their answer to this day's question is; 'no education no life.' They appreciate the power of words. They happily read the book 'Brave Girls' to Litworld Girls Club Kibera on phone. They have the confidence to read. Though they have never met, they have one bond, LitWorld. From Rose Mureka, Girls Club in Bungoma, Kenya. 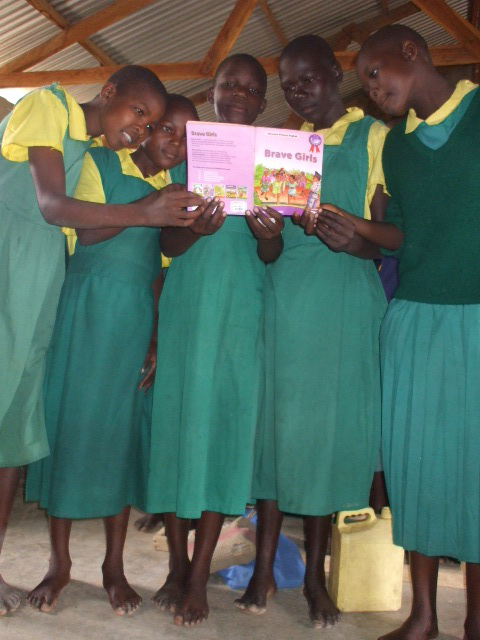 Older PostThe Birth of Another Litworld Girls Club in Bungoma, Kenya!